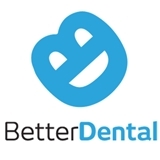 Better Dental (Apex) - Book Appointment Online! He is a very good dentist, he is very nice and is there to please, Was impressed by the way he treats his staff as well. Highly recommend.